Mar 25, 2016 - 1 Princess Margaret Cancer Center/University Health Network, ... within the paper and its Supporting Information files. ..... Epub 2012/12/19. Phosphorylation of eukaryotic translation initiation factor 2 (eEF-2) in amino acid-starved .... TABLE 1. Construction of plasmids for marker rescue mapping of GCD2 alleles" ...... codes the gamma subunit of eIF-2 in Saccharomyces cerevisiae. C-terminus.13 Several Trio isoforms, Trio. A, B and D, ..... Debant A, Serra-PagÃ¨s C, Seipel K, O'Brien S, Tang .... Neubrand VE, Thomas C, Schmidt S, Debant A,. Diana Rodriguez5, Scot R. Kimball3 and Odile Boespflug-Tanguy*,1. 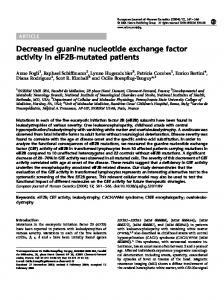 1INSERM UMR 384 ... Mutations in each of the five eucaryotic initiation factor 2B (eIF2B) subunits have been found in ... for continued protein synthesis, and eIF2B plays a key role ..
Feb 25, 1994 - activator Arg259-Lys273 domain of the &-adrenergic receptor. (20) (data .... Storm for informing us of results before publication; Yoshiomi Tamai. Indeed, knockdown of RHOC produced an intermediate between the two phenotypes. We conclude that for effective collective migration, the RHOA-GEFs â. mutants such that the conserved positively charged residue would be changed to a negatively charged amino acid. We found one of these mutants, CDC25Rl 4E, to be an allelespecific suppressor of the H-rasE63K mutant. We show that while CDC25R1374E and H-RasE63K cannot bind to wild-type H-Ras and CDC25GEF, respectively, we demonstrate that the mutant CDC25R1374E and H-RasE63K proteins can interact directly. Also, peptides with sequences surrounding residue 1374 of yeast CDC25 or the corresponding region from human CDC25GEF can inhibit the interaction between CDC25 and H-Ras protein in vitro. The results presented here suggest that the activation of Ras proteins is in part due to positions 1374 of CDC25GEF and 63 of H-Ras interacting as an ionic pair. Ki 41 4E R1 444E R1489E R1 374D R1 374L FIG. 1. Suppression of the cdc25t' defect by mutant and wild-type CDC25. Growth of the temperature-sensitive cdc25-5 strain (LV25-5) was examined after transformation with the plasmid containing the catalytic domain of wild-type CDC25 or mutant cdc25R'374E, cdc25Rl41lE, CDC25KI4l4E, cdc25R14"E, or CdC25R1489E. Two independent transformants of each transformation were patched onto selective medium (SC-eu) and grown for 3 days at 28°C. These plates were then replica plated onto two SC`LU plates; one was incubated at 28°C, and the other was incubated at 36°C. Substitutions are indicated at the left. wt, truncated wild-type CDC25. H-rasE63K can suppress the loss of CDC25. This suppression is allele specific, as shown by the inability of the coexpression of any other pairwise combination of nonfunctional H-ras and cdc25 mutants (initially tested here) to suppress the cdc25ts defect (Table 1). These results suggest that residue 63 of H-Ras may form an ion pair with residue 1374 of the yeast CDC25 gene product, and if this putative ion pair is reversed, functional interaction can still occur. Assuming this proposal to be correct, we predicted that the charge of the side groups of the reversed ion pair would be critical for functional interaction. Furthermore, the length of the side groups involved in this reversed ion pair might also affect the relative abilities of these proteins to interact. A reversed ion pair with side groups of the same length as those observed in the wild-type ion pair might result in a better functional interaction than ion pairs with altered lengths of side groups. To test this prediction, we created additional point mutations at codon 63 of H-ras and at codon 1374 of CDC25 (see Materials and Methods). Substitution of Glu at codon 63 of H-ras with Arg resulted in CDC25GEF-unresponsive protein, as judged by its inability to suppress rasts mutant strain expressing H-GAP (data not shown), and it can suppress the rasts strain in the absence of H-GAP. Also, substitution of Arg at codon 1374 of yeast CDC25GEF with either Asp or Leu resulted in nonfunctional protein, as judged by its inability to suppress the cdc25-5 mutant strain (Fig. 1). We then examined the ability of wild-type or nonfunctional mutants in H-ras (wild-type or E63K or E63R substitution) and CDC25 (wildtype or R1374E, R1374D, or R1374L substitution) to cooperate in the suppression of the loss of CDC25 function (Table 1 and Fig. 1). The cdc25R1374L mutant was unable to cooperate with H-ras, H-rasE63K, or H-rasE63R in suppression of the loss of CDC25 function (Table 1). The combination of H-rasE63R and CdC25R1374E, with side chain lengths the same as those of the wild-type ion pair, was the reversed ion pair which was the strongest suppressor of the loss of CDC25 function (Table 1). By contrast, the combination of H-rasE63K and CdC25R1374E or H-rasE63R and cdc25R1374D, whose reversed ion pair side chain lengths are slightly shorter than those of the wild-type ion pair, did suppress the loss of CDC25 function, although suppression was weaker than that observed with H-ras 13R and CdC25R1374E. a The cdc25-Sts strain was cotransformed with the indicated pairwise combinations of the indicated H-ras-containing plasmids in combination with the CDC25 plasmid with the indicated mutations. Each resulting transformation was plated out on two selective plates (SC-Ieu-TrP). One plate was incubated at 28°C for 3 days, while the other was incubated at 34°C for 5 days. b The diameters of 30 random colonies from the 34°C plates were measured from photographs (fivefold enlargements) of the plates, and the mean was determined. + + + + +, suppression at wild-type levels of growth; + + +, + +, and +, successively weaker suppression than that of wild-type CDC25; -, no detectable growth even after prolonged incubation at the nonpermissive temperature; ND, not determined. The groups of means designated by superscripts c, d, e, and f are statistically significantly different from each other at the 0.05 level of significance, i.e., P < 0.01. c These means (1.95 to 2.06 mm) are not statistically different from each other at the 0.05 level of significance, i.e., P > 0.05 (95% confidence interval, 1.87 to 2.10). d 95% confidence interval (0.68 to 0.80 mm), mean = 0.74. e 95% confidence interval (0.98 to 1.08 mm), mean = 1.03. f 95% confidence interval (0.26 to 0.33 mm), mean = 0.29. g 95% confidence interval (0.57 to 0.66 mm), mean = 0.62.
a The PCY2 strain was transformed with a pGADGH-based plasmid containing the indicated CDC25 fragment, and the resulting transformants were transformed with pGBT9-based plasmids containing the indicated H-ras fragments. b 13-Galactosidase activity was scored by streaking independent transformants resulting from each transformation onto selective plates containing X-Gal. The relative degree of intensity of the blue colonies is indicated as follows: + + + + +, intense blue colonies; +, very pale blue colonies; -, no detectable blueness of colonies even after prolonged incubation as described in the text; ND, not determined. In three independent experiments, similar results were obtained. Concentration of Peptide(pM) FIG. 2. Synthetic peptides with sequences derived from Ras-specific GEFs inhibit binding of H-Ras to CDC25GEF. 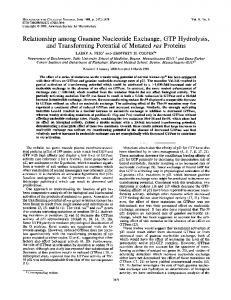 GST-CDC25, bound to glutathione-agarose beads and was incubated with purified nucleotide-free H-Ras in the presence of the indicated amounts of synthetic peptide from either yeast CDC25GEF (TIVKQADVKTR SKLTQYFVT, residues 1364 to 1383) (A) or human CDC25GEF (h-cdc25GEF; EIIRNEDINARVSAIEKWVA, residues 1098 to 1117) (B). 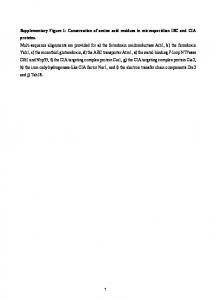 For controls, synthetic peptides were used with amino acid composition identical to residues 1364 to 1383 of the yeast CDC25GEF or 1098 to 1117 of the human CDC25GEF, but whose sequence was scrambled (S. cerevisiae, KRQDFYIKTSLTKQAV; human, DRAVESKENIRVIAIWENA). After incubation for 1 h at 40C, the glutathione-agarose beads were washed three times with phosphatebuffered saline. The final pellets were eluted with sodium dodecyl sulfate-polyacrylamide gel electrophoresis sample buffer at 95TC; they were then subjected to Western blot analysis to detect H-Ras protein (see Materials and Methods). gests the H-RasE63K and H-RasE63R mutant proteins are able to bind to the nonfunctional CDC25R1374E protein but are otherwise nonfunctional in that they cannot interact with the wild-type proteins or other mutant versions of these proteins examined. Western blotting using anti-CDC25 rabbit polyclonal antisera demonstrated that all of the CDC25-GADGH fusion proteins were expressed at similar levels (data not shown). These results are consistent with the molecular genetic data presented above, suggesting that residue 1374 of the yeast CDC25 gene product may interact with residue 63 of the H-Ras protein. Disruption of binding of CDC25 to wild-type H-Ras by peptides. 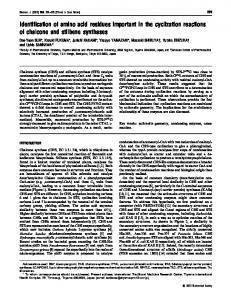 We have previously used an in vitro assay to detect the interaction of CDC25GEF and Ras proteins (10, 15). We made use of this in vitro protein-protein interaction assay to determine whether peptides with sequences identical to those surrounding residue 1374 of CDC25GEF (residues 1364 to 1383) or the corresponding region of the human CDC25GEF (residues 1098 to 1117) (9, 20) could disrupt the interactions between a GST-CDC25GEF fusion protein and H-Ras protein (10, 15). We observed that a peptide identical to yeast CDC25GEF residues 1364 to 1383, in increasing concentrations, effectively competed for GST-CDC25GEF/H-Ras binding (Fig. 2). Also, a peptide identical to human CDC25GEI residues 1098 to 1117 was able to compete for GSTCDC25GEF/H-Ras binding (Fig. 2). 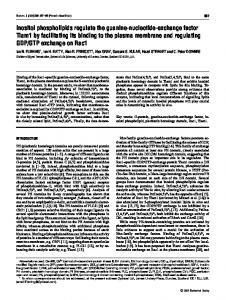 Control peptides, with amino acid compositions identical to those of the CDC25GEF peptides (but with scrambled sequences), at concentrations similar to those used for the CDC25GEF peptides, had no detectable effect on GST-CDC25GEF/H-Ras binding (Fig. 2). Evidence presented here and our previous results have shown that the H-RasE63K mutant is defective in interaction with wild-type CDC25 (15), although this mutant H-Ras protein can adopt an active GTP-bound conformation. Evidence for an active conformation of the H-RasE63K mutant comes from our previous observation that a double-mutant H-RasG12VE63K can suppress the loss of Ras function in yeast cells (15). Here we demonstrate that a CDC25Rl374E mutant is nonfunctional in yeast cells and cannot bind to wild-type H-Ras, as indicated by yeast two-hybrid analysis. Also, we demonstrate that the H-RasE63K and cdc25R1374E mutants which cannot interact with wild-type CDC25 and H-Ras, respectively, are able to functionally interact with each other. This conclusion is supported by the allele-specific suppression of the loss of CDC25 function by these otherwise nonfunctional H-rasE63K and CdC25R1374E mutants. Further, the yeast two-hybrid analysis presented here also supports this conclusion. The interaction between H-RasE63K and CDC25R1374E is weak, as judged by the yeast two-hybrid analysis. Further, in in vitro experiments, we failed to detect protein-protein interactions by H-RasE63K and CDC25R1374E proteins isolated from E. coli expression systems (data not shown). The glutamic acid at position 63 of H-Ras has previously been shown to interact directly with CDC25GEF (15). The H-Ras mutant with a change of charge substitution (namely, lysine) at position 63 disrupts interaction with CDC25GEF. It is interesting to speculate that the wild-type glutamic acid at position 63 of H-Ras forms an ion pair with the positively charged arginine at position 1374 of CDC25GEF. Thus, the allele-specific suppression of defects in the yeast RAS pathway and restoration of binding between the H-RasE63K and CDC25R1374E may be due to recreating an ion pair, albeit distinct from that of the wild-type protein-protein interaction. We note that each of the reversed ion pairs examined here is a weaker suppressor than the wild-type pair. Also, the restoration of binding by these H-Ras and CDC25 mutants is weak, as indicated by the yeast two-hybrid system results. This is not surprising, given that a charged residue is affected by the environment in which it resides. Previous reports have yielded conflicting conclusions regarding the use of ion pair reversals in exploring protein-protein interactions (8, 21, 22). 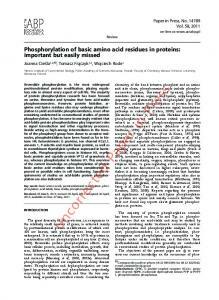 These studies presented here demonstrate the power of ion pair reversal mutagenesis in the study of some protein-protein interactions and indicate that the length of side groups may require alteration to achieve success with this approach. We have begun to raise antisera against Ras-GEF peptides (SOS1GEF residues 855 to 874, SOS2GEF residues 790 to 809, and CDC25GEF residues 1098 to 1117) which correspond to sequences surrounding residue 1374 of the yeast CDC25GEF. We will prepare antibodies which are specific for each GEF. Microinjection of these antibodies into cells should neutralize a single Ras-specific GEF and thus prove useful in determining which mammalian Ras-specific GEFs are regulated by various growth factor receptors. mammalian gene structurally and functionally related to the CDC25 gene of Saccharomyces cerevisiae. Proc. Natl. Acad. Sci. USA 89:7100-7104. 21. Wells, J. A. 1990. The role of lysine-234 in beta-lactamase catalysts probed by site-directed mutagenesis. Biochemistry 29:5797-5806. 22. Wells, J. A., D. B. Powers, R. R. Bott, P. T. Graycar, and D. A.
MOL. CELL. BIOL. Estell. 1987. Designing substrate specificity by protein engineering of electrostatic interactions. Proc. Natl. Acad. Sci. USA 84:12191223. 23. Young, D., M. Riggs, J. Field, A. Vojtek, D. Broek, and M. Wigler. 1989. The adenylyl cyclase gene from Schizosaccharomycespombe. Proc. NatI. Acad. Sci. USA 86:7989-7993. 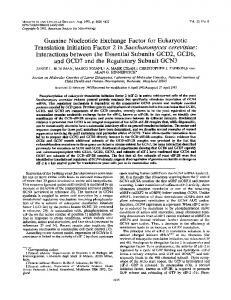 Report "Amino Acid Residues in the CDC25 Guanine Nucleotide Exchange ..."